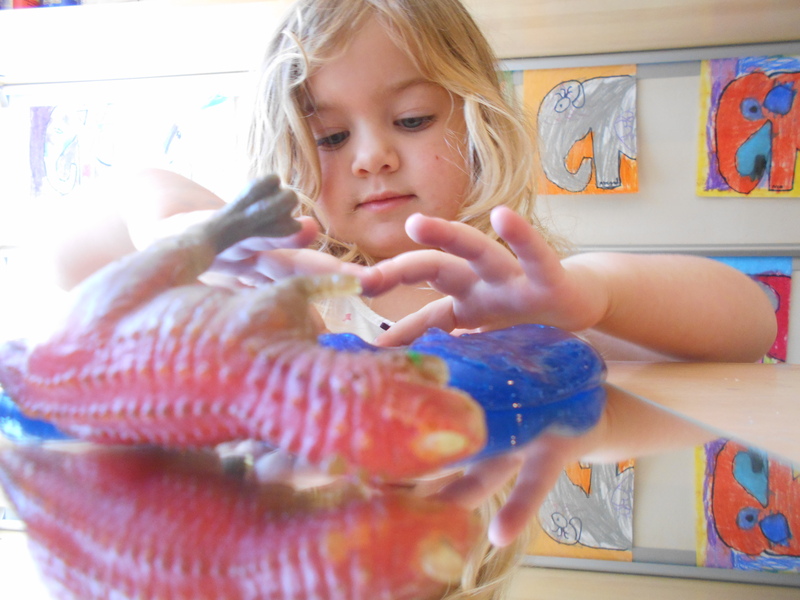 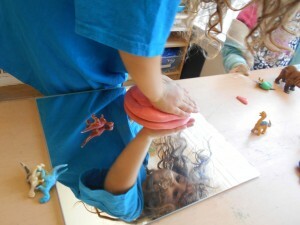 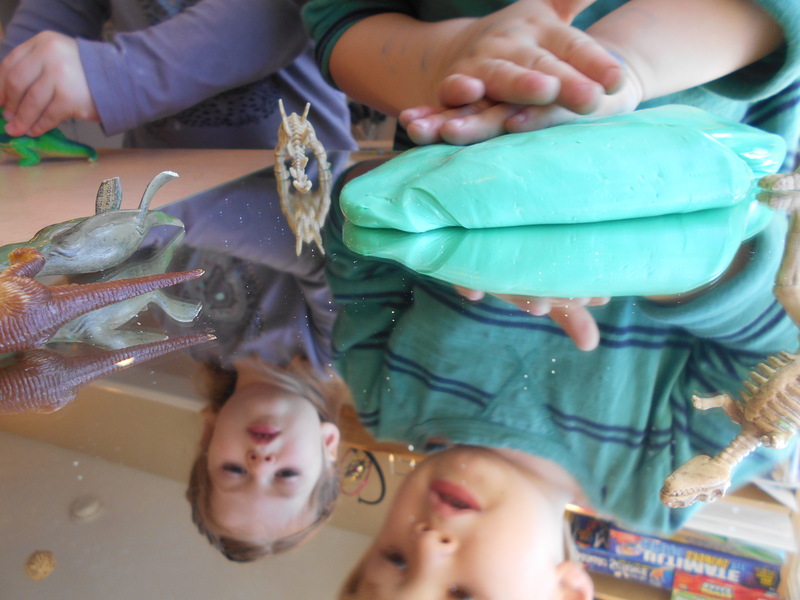 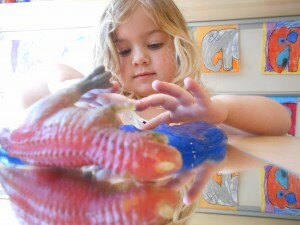 The children did a fun activity using a mirror. 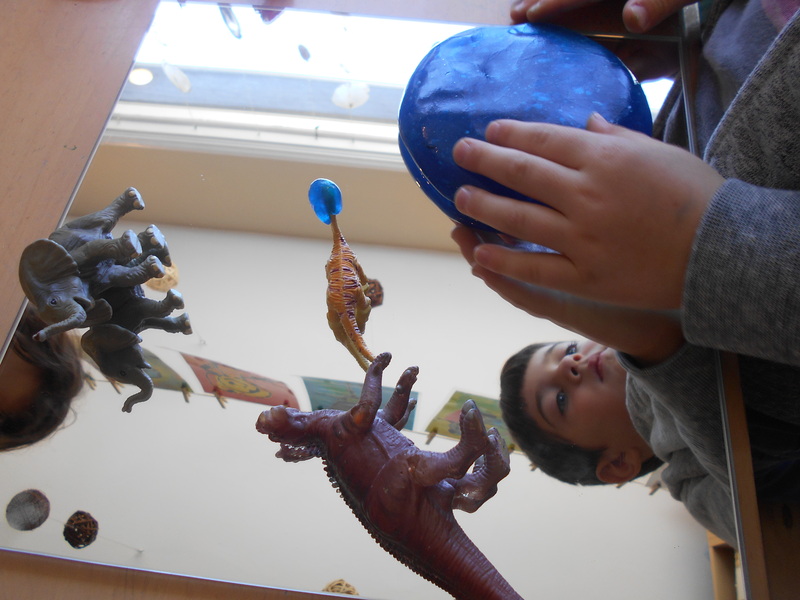 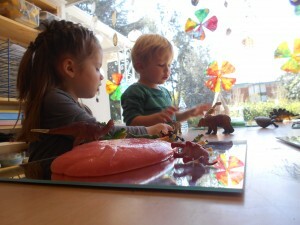 They used manipulative’s such as goo, and dinosaurs. 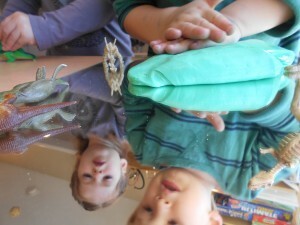 They were amazed that they could see everything they were doing. The also started to count everything by twos because the children saw that they had two of everything like it was shown in the mirror.